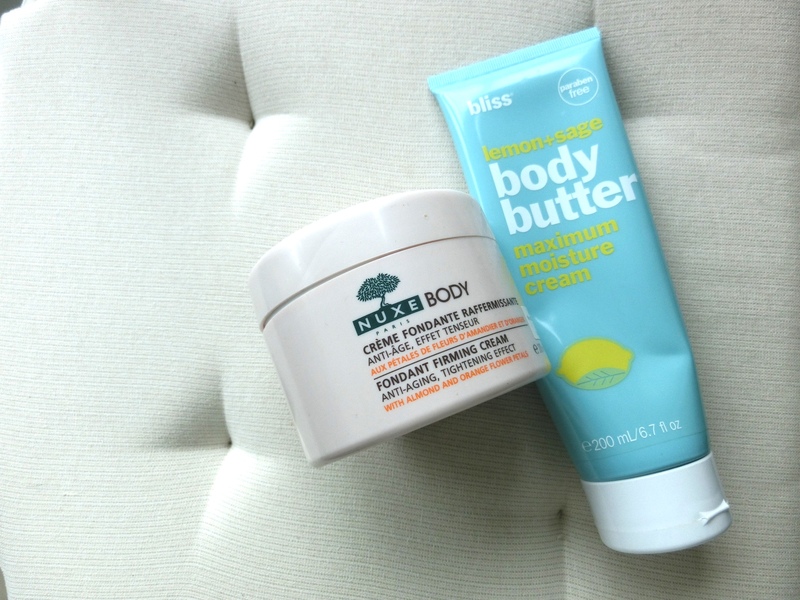 I have two body creams to share with you all today ! 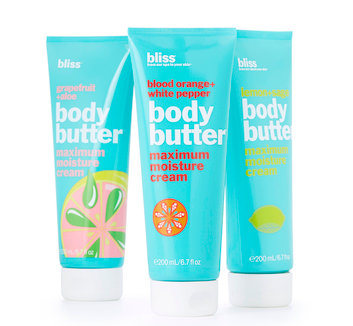 Bliss lemon + sage body butter and Nuxe body fondant firming cream! I put on body lotion / butter / oil everyday after shower, so body creams are a definite must-have for me. I have tried so many of them and I always switch to new ones after a bottle, but I have always come back to these two. This divine and HG body butter smells so good, so refreshing and it melts on your body like butter, seriously! I have tried all of their flavours and I like lemon and sage best! The scent is very energizing and refreshing, its perfect after your morning shower and after gym or yoga! The reason why this body butter is so good is because their ingredient is loaded with goodness essential oils, like coconut oils, soybean oil, shea butter etc. All these are the heros ingredients to create baby smooth skin! This firming cream tightens and has anti-ageing effect; the texture is very creamy and luxurious. 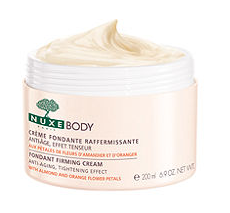 The star ingredients of this cream, almond and orange flower petals to keep your skin silky smooth and supple. I like to use this body fondant in the evening, before I go to bed, since the smell its very soothing and it de-stresses me, the material is also silky smooth when you apply on your skin. The jar package also allow you to use every bits of the product inside the jar. The cream is quickly absorbed into the skin and I feel really pampered applying this.